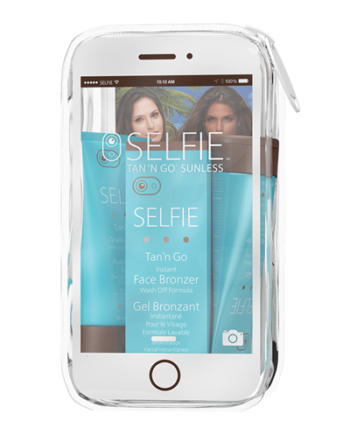 Get the golden tan you’ve always wanted with Selfie® 2 Hour Sunless Lotion with Immediate Bronzer. Get a natural sun-kissed golden tan in as little as two hours. Enriched with vitamins A, C, and E to hydrate and nourish your skin, our 2 Hour Sunless Lotion does more than give you a coveted tan. 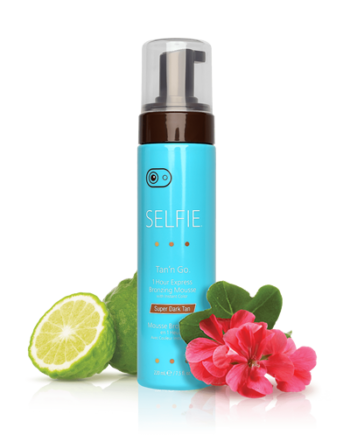 With rich Gotu Kola and green tea, this self-tanner gives you a natural tanned skin tone while keeping your skin soft and supple. 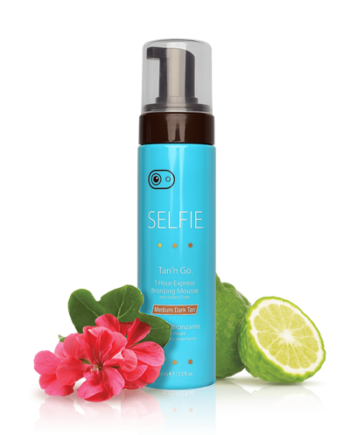 Selfie® 2 Hour Sunless Lotion with Immediate Bronzers leaves no after-tan aroma, is a streak-free formula, and paraben free. 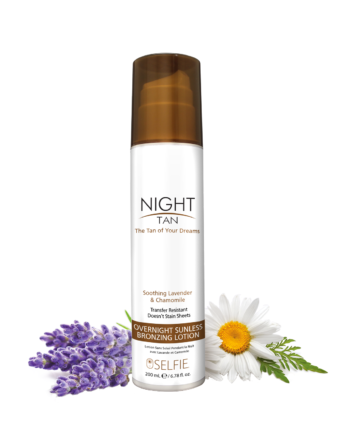 Perfect for all skin types so you can show a smooth, even, natural tan in little to no time. 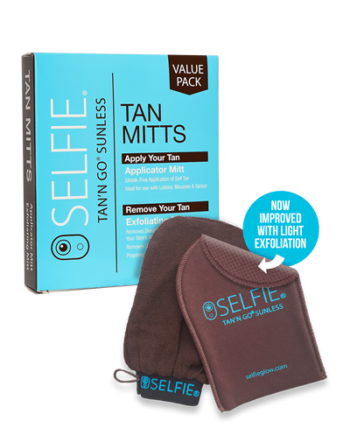 Before you use Selfie® 2 Hour Sunless Lotion make sure you exfoliate your skin using our exfoliating mitt to buff off dead skin cells to guarantee a streak-free sunless tan. Squeeze a small amount onto the palm of your hands. Use on clean skin. 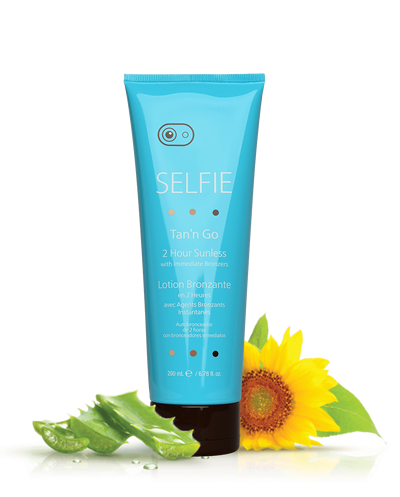 Start using circular, blending motions as you apply the 2 Hour Sunless Lotion over the desired areas. It is best if you start from the bottom up, working on one area at a time. Apply lightly over elbows, knees, ankles, and feet. Wash your hands immediately after application using gentle soap and water. 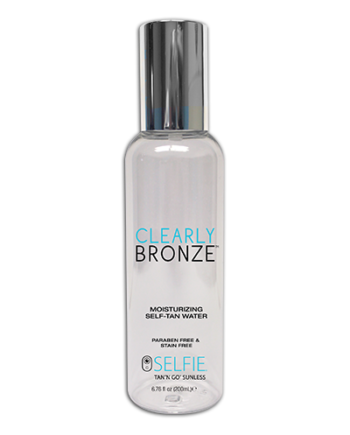 Allow self-tanner to dry for at least 15 minutes before direct contact with clothes. 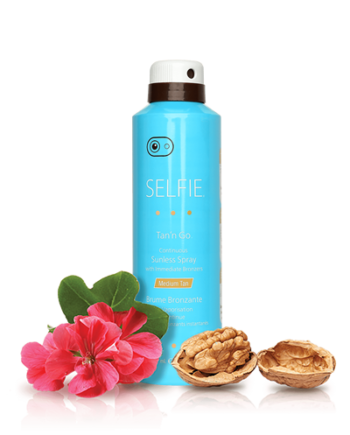 To achieve a deeper tan, reapply following the steps above. 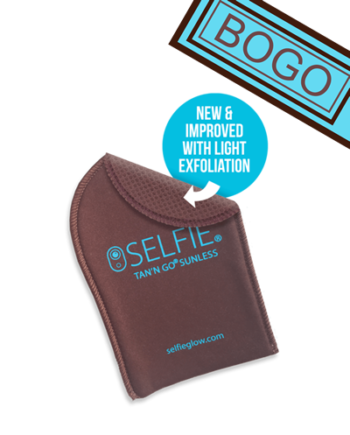 Use the Selfie® applicator mitt or your hands. Both will give you a flawless, streak-free, perfect glowing tan. Aqua, Dihydroxyacetone, Cetyl Alcohol, Isononyl Isononanoate, Glyceryl Stearate, PEG-100 Stearate, Dimethicone, Dicaprylyl Carbonate, Methylheptyl Isostearate, Phenoxyethanol, Carthamus Tinctorius (Saower) Seed Oil, Hydroxyethyl Acrylate/Sodium Acryloyldimethyl Taurate Copolymer, Parfum, Cyclopentasiloxane, Squalane, Caramel, Sodium Benzoate, Methyl Gluceth-10, Dimethiconol, Polysorbate 60, Glycolic Acid, Dehydroacetic Acid, o-Cymen-5-ol, Aloe Barbadensis Leaf Juice, Butylene Glycol, Disodium EDTA, Panthenol, Acetyl Tyrosine, Hydrolyzed Vegetable Protein, Hexyl Cinnamal, Butylphenyl Methylpropional, Limonene, Linalool, Citronellol, Hydroxycitronellal, Geraniol, Hydroxyisohexyl 3-Cyclohexene Carboxaldehyde, Adenosine Triphosphate, Riboflavin, Amyl Cinnamal, CI 19140 (Yellow 5), CI 17200 (Red 33), Citric Acid, Tocopherol, Ascorbic Acid, Potassium Sorbate, Retinyl Palmitate, Tocopheryl Acetate, Helianthus Annuus (Sunower) Seed Oil, Cola Acuminata Seed Extract, Camellia Sinensis Leaf Extract.